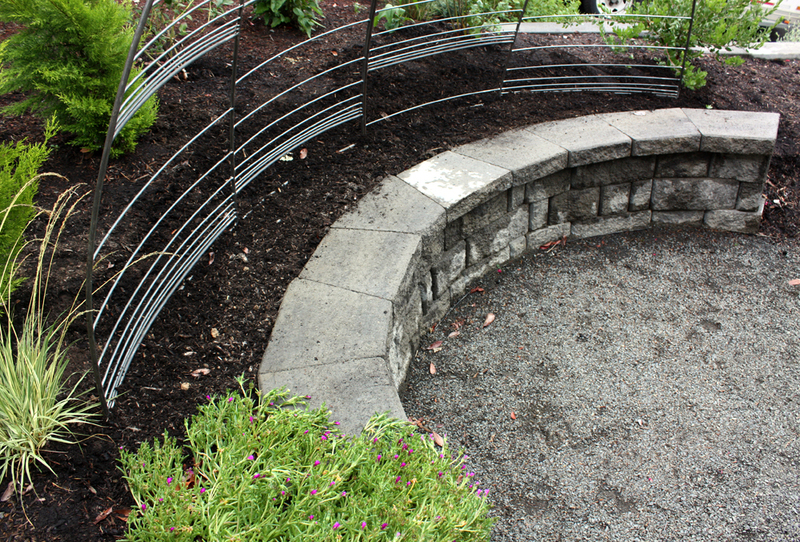 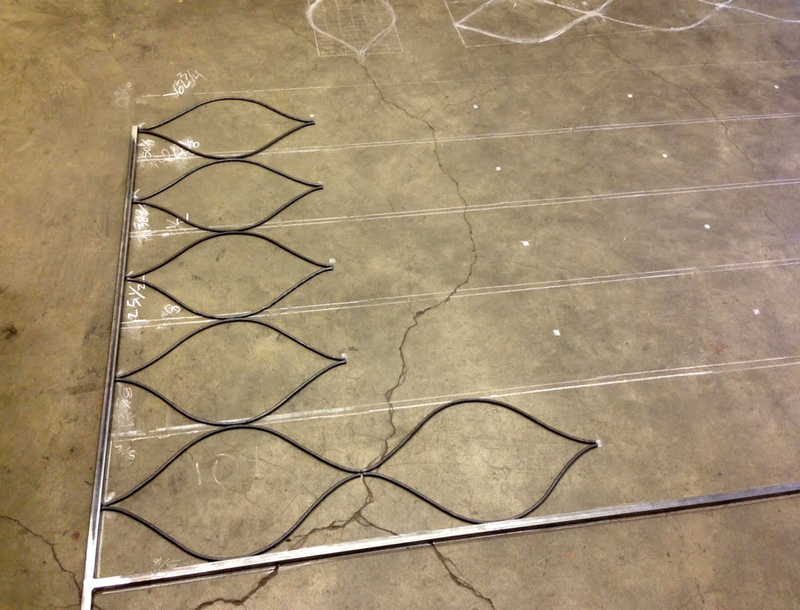 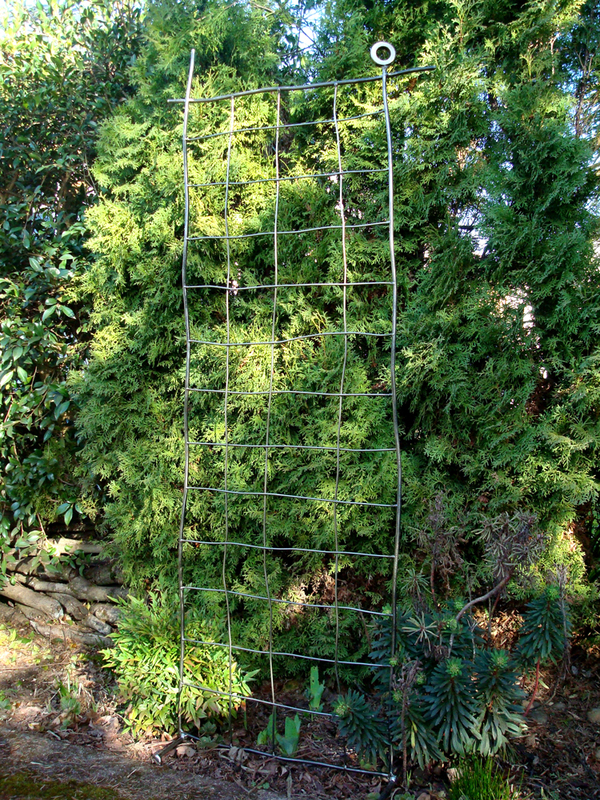 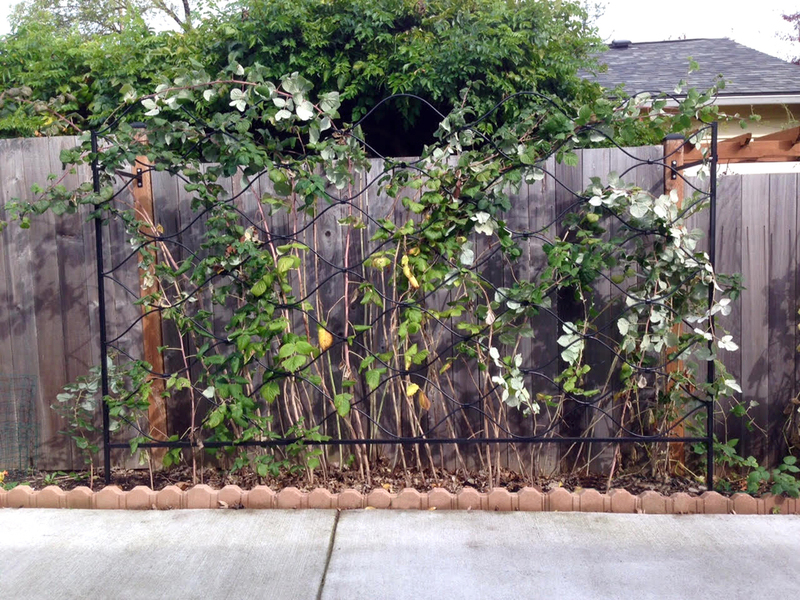 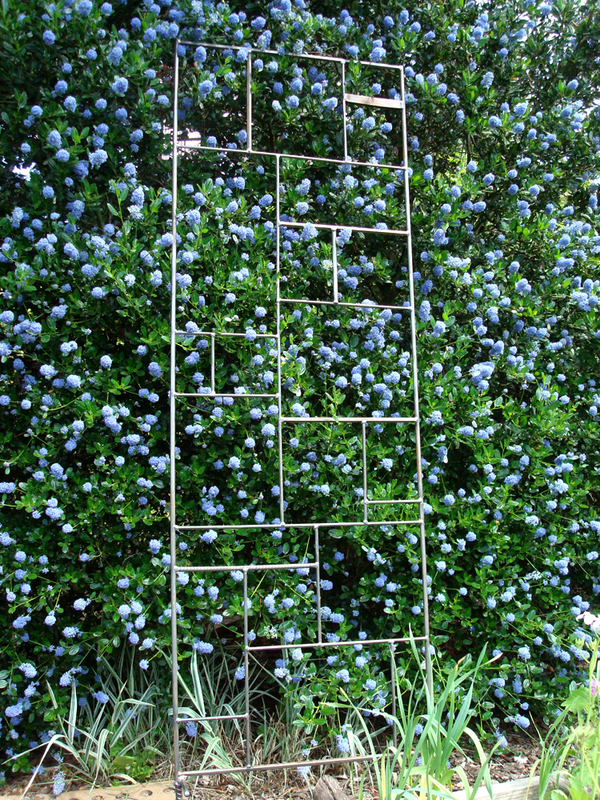 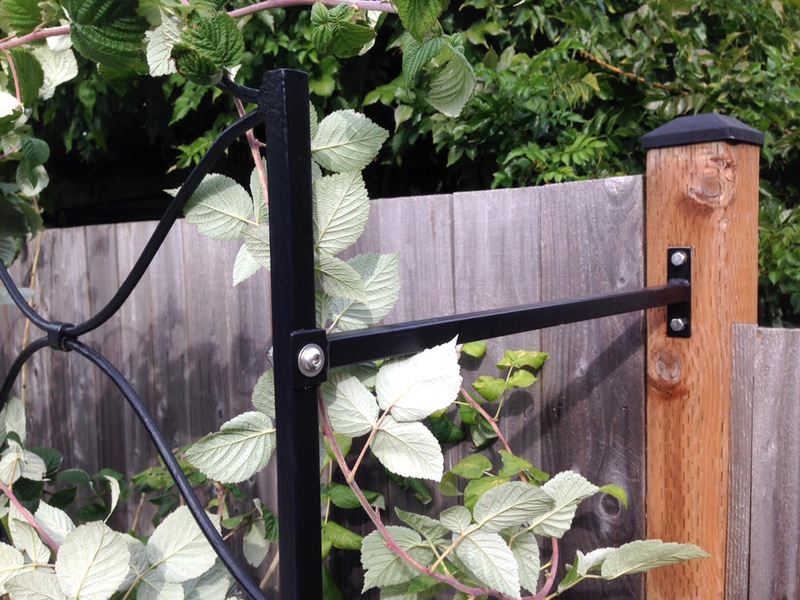 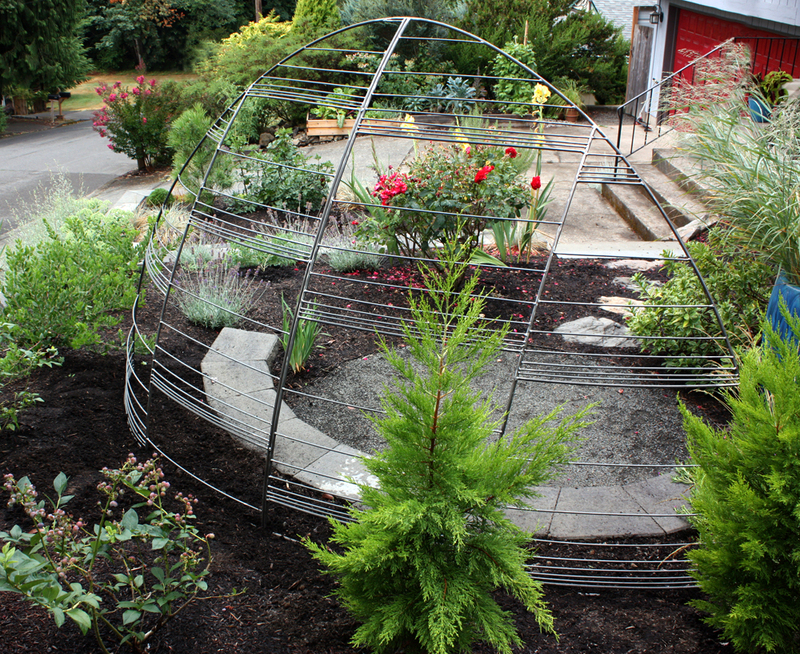 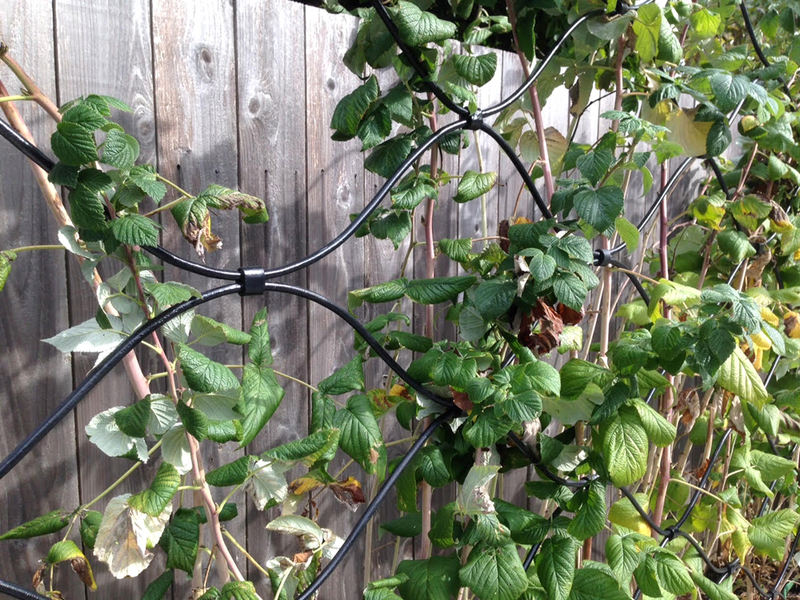 This sturdy steel trellis is inspired by Mondrain. 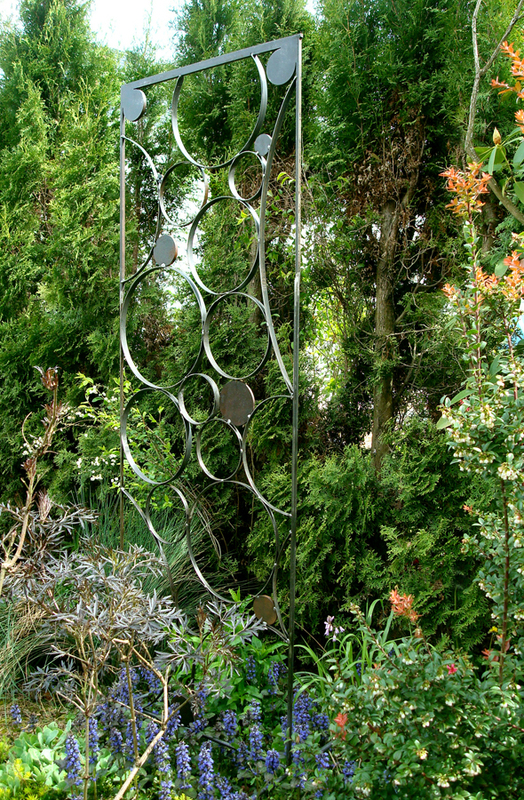 There is a wide variety of steel bits used in the framework; flat bar, strap, various sized rod, threaded, spiraled, rebar, hex rod and laser cut. 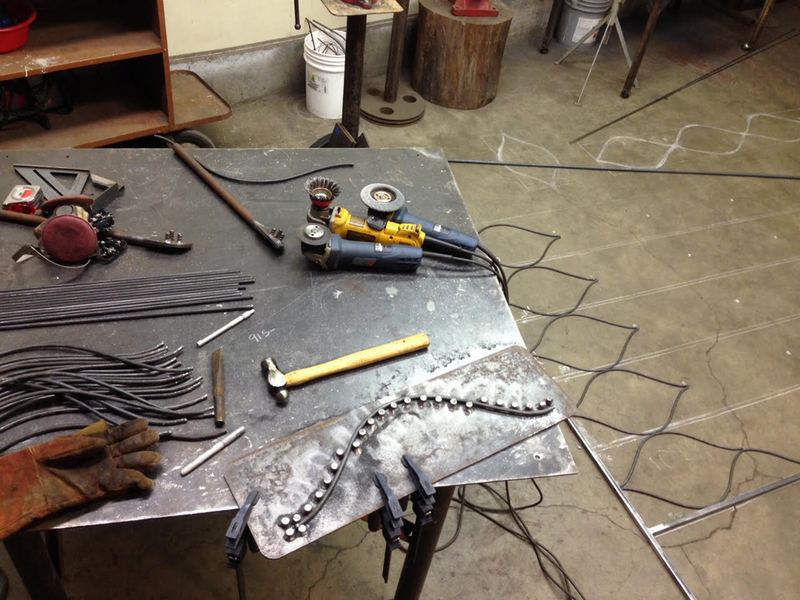 Stable prong base. 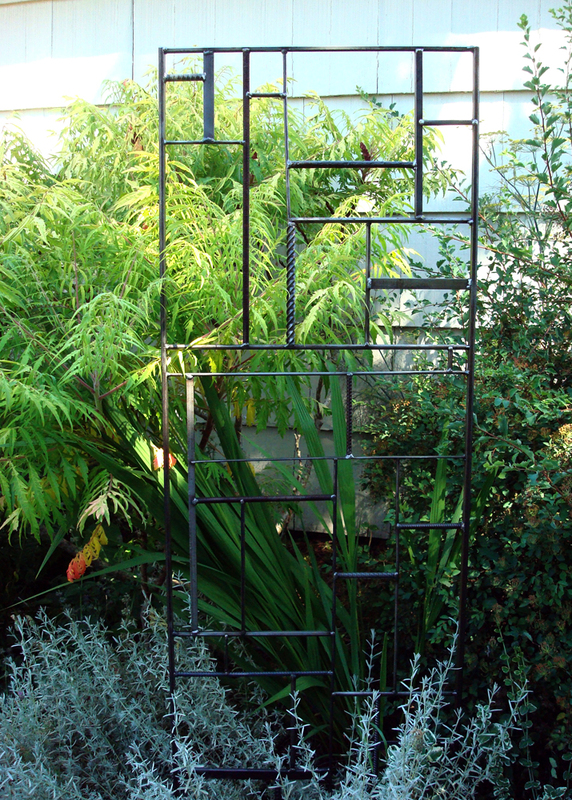 5’H x 26″W. 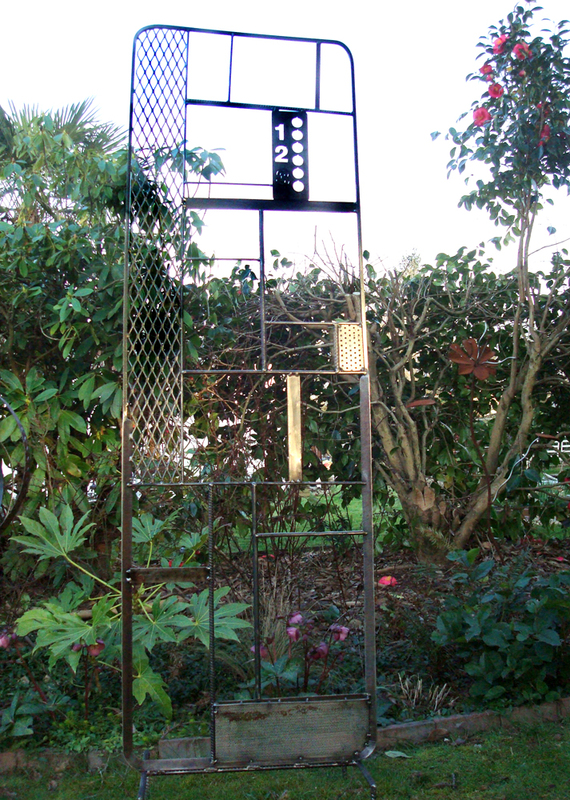 Categories: new work | Tags: industrial remnants, scrap steel, trellis | Permalink.